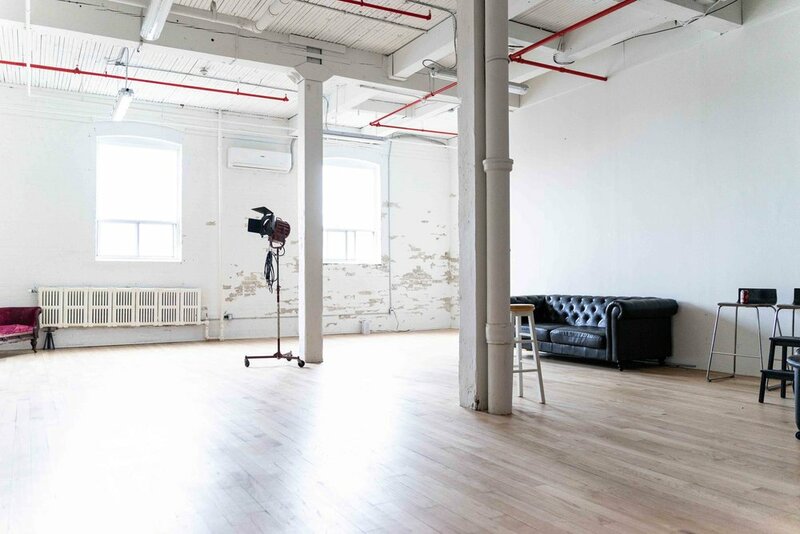 Wade Studio is a naturally lit and highly equipped portrait studio located at Bloor and Lansdowne in Toronto. Wade Studio (formerly V1 Studio) is a huge, bright, highly equipped photography studio that suits it’s clientele with the finest lighting equipment, a robust grip selection and of course, carefully selected unique furnishings and props. The highly equipped studio now features hand crafted canvas textured backdrops created by the award winning visual designer Ellen Chung that evokes a high end quality portrait only Wade can offer. Come in a take a look. 2.5 Hours total time. Everything included. Morning and evening only. 4 hour total time. Everything included. 8 Hours total time. Everything included. DUO Elinchrom D-Lite 4it's with multiple softboxes. DUO Profoto D1 AIR 500 W/s Monolights with Beauty Dish and multiple Umbrella's including 7ft. Parabolic. Choose from virtually every colour seamless and the 3 colours of Oliphant style backdrops (nuanced textured backdrops). You can book instantly online or just email us with your inquiry. Call (416 907-5662) from 8a – 11p daily, or book online with Acuity. Instant bookings are subject to confirmation.